Although most insureds report claims in a timely fashion, there are occasions where an insured’s delay may result in default judgment being obtained against the insured. In other instances, the claim may be handled by a claims adjuster, and through miscommunication or inadvertence, an extension of time for the insured to file a Response to Civil Claim is not obtained, resulting in the plaintiff obtaining default judgment against the insured. Obtaining a default judgment is a fairly simple process. 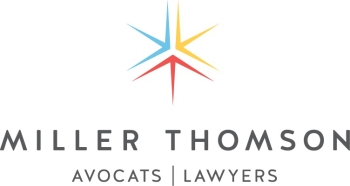 A plaintiff may seek an order for default judgment when a defendant has failed to file and serve a response to a claim within the time allowed by Rule 3-8 of the British Columbia Supreme Court Civil Rules (the “Rules”). Once default judgment has been obtained, if underwriters intend to defend the claim, steps must be taken to set aside the default judgment. There are generally two circumstances where this may be done: (1) where a judgment is obtained in compliance with the Rules, and the defendant asks the court to exercise its discretion to set the judgment aside; or (2) where the default judgment was irregularly obtained, and the defendant is entitled to have it set aside as of right. (c) whether the defendant has shown a meritorious defence, or at least a defence worthy of investigation. The recent case of Paolucci Holdings Ltd. v. Girard Insurance & Financial Service Inc., 2018 BCSC 1810 illustrates when a default judgment will be set aside on the grounds that it was irregularly obtained. In this case, the British Columbia Supreme Court set aside two default judgments, one of which was obtained by the plaintiff despite the fact that no proof of service had been filed in support of the application for default judgment. In doing so, the court confirmed that the failure to file proof of service with an application for default judgment is an irregularity, not a mere technicality. Default judgment may be set aside as of right where a plaintiff obtains default judgment without complying with the mandatory requirements set out in Rule 3-8. The claim arises from two loan agreements entered into between Maioha and the plaintiff on July 15, 2015 and August 21, 2015, whereby the plaintiff advanced funds to Maioha in the total amount of $650,000. The plaintiff commenced the action on October 5, 2015 against Maioha for monies owing under the loans, and against Mr. Corrigal for damages arising from negligent misrepresentations made with respect to the August 21, 2015 loan. The defendants did not file and serve a Response to Civil Claim. The plaintiff obtained default judgment against Maioha on March 24, 2016, in the amount of $642,858.53, inclusive of interest and costs, and obtained default judgment against Mr. Corrigal on May 24, 2016 for damages to be assessed. The defendants did not dispute that they were properly served with the Notice of Civil Claim. However, the defendants took issue with the evidence of service of the Notice of Civil Claim filed by the plaintiff in support of its default judgment application against Maioha. During the hearing, the plaintiff acknowledged that its affidavit evidence purporting to be proof of service of the Notice of Claim on Maioha was, in fact, a demand letter. The defendants argued that as there was no evidence before the court on which the default judgment against Maioha could have been issued, Maioha was entitled to have the default judgment against it set aside as of right. The plaintiff relied on Rule 22-7 to argue that the court could rectify the irregularity with regard to the evidence filed in support of the default application against Maioha. Rule 22-7(1) provides that unless the court otherwise orders, a failure to comply with the Rules shall be treated as an irregularity and does not nullify a proceeding, a step taken in a proceeding or any document or order made in the proceeding. The court rejected the plaintiff’s argument and, noting that default judgment is an “extraordinary remedy”, held that proof of service goes to the heart of an application for default judgment. The filing of proof of service is mandatory pursuant to Rule 3-8, and it was not done in this case. The court confirmed that if default judgment is entered because of an irregularity, the defendant is entitled to have it set aside. In the event that default judgment is obtained against an insured, underwriters should review the circumstances under which the default judgment was obtained. Strict compliance with the Rules is required in order to uphold the default judgment. A failure by the plaintiff to ensure strict compliance with the Rules may provide grounds upon which to set aside the default judgment.